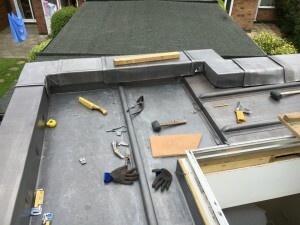 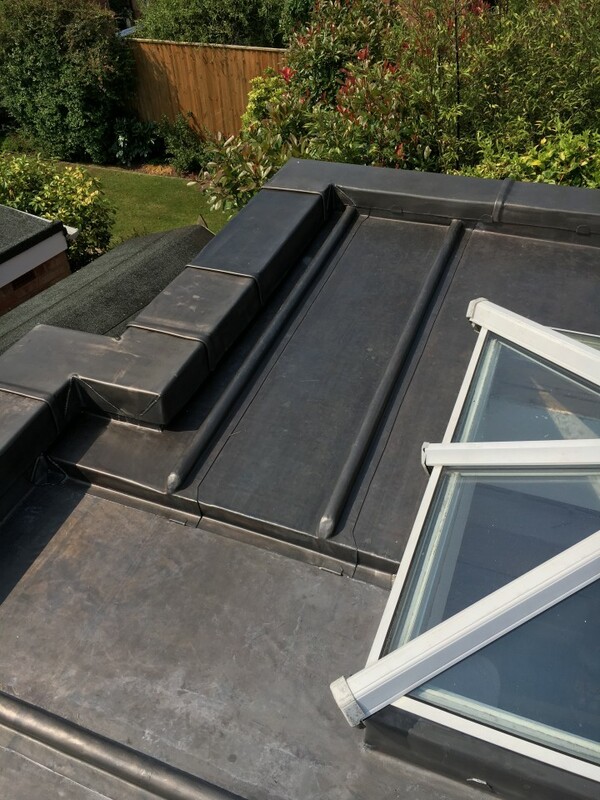 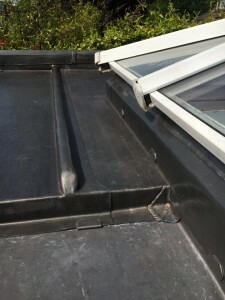 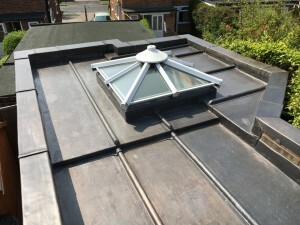 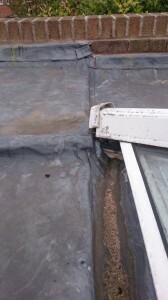 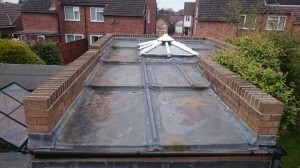 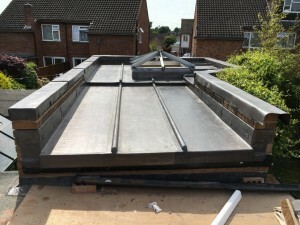 The lead flat roof to the annexe at this property in Kenilworth was completed at the time of construction, around 2007. 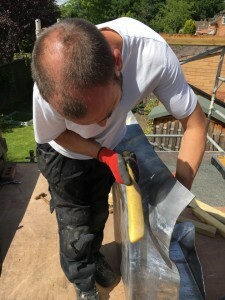 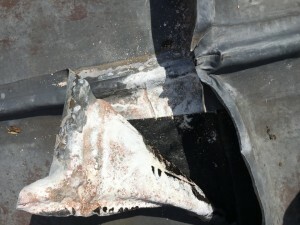 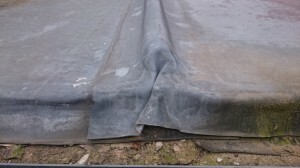 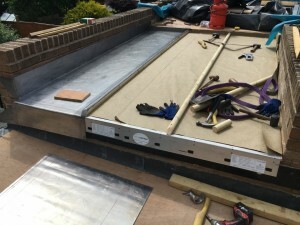 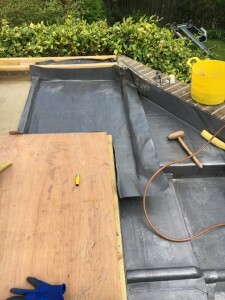 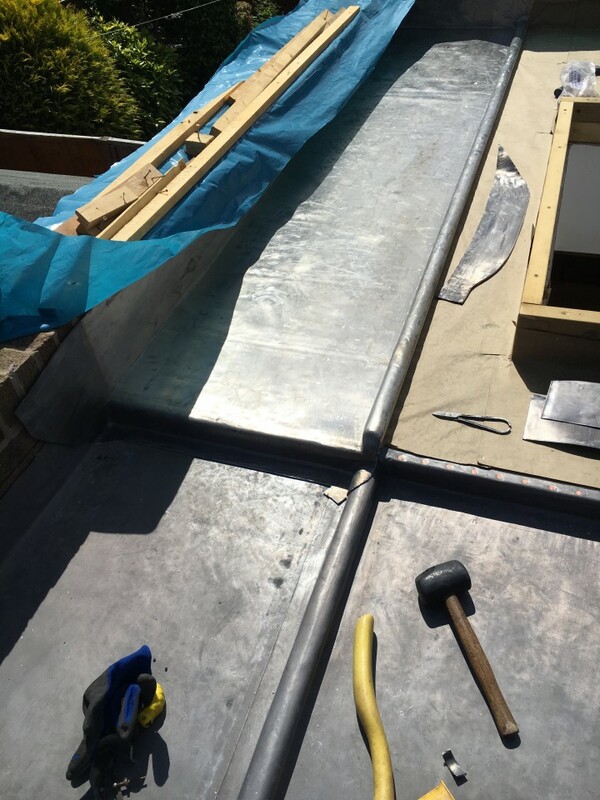 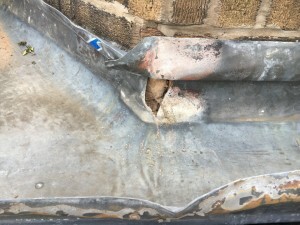 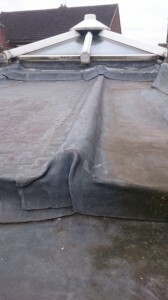 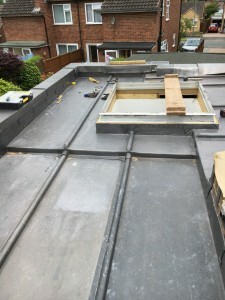 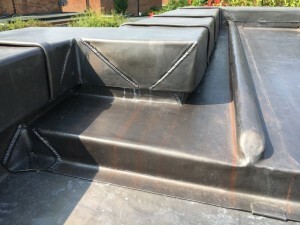 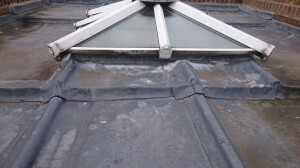 The contractor responsible took just over one day to complete the leadwork to the roof; the first few photographs show the apalling workmanship. 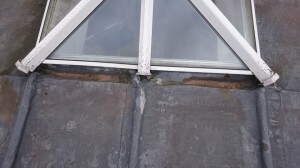 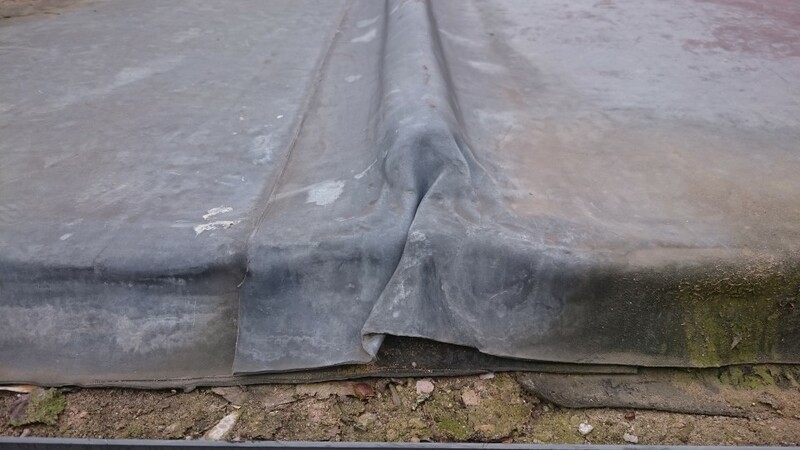 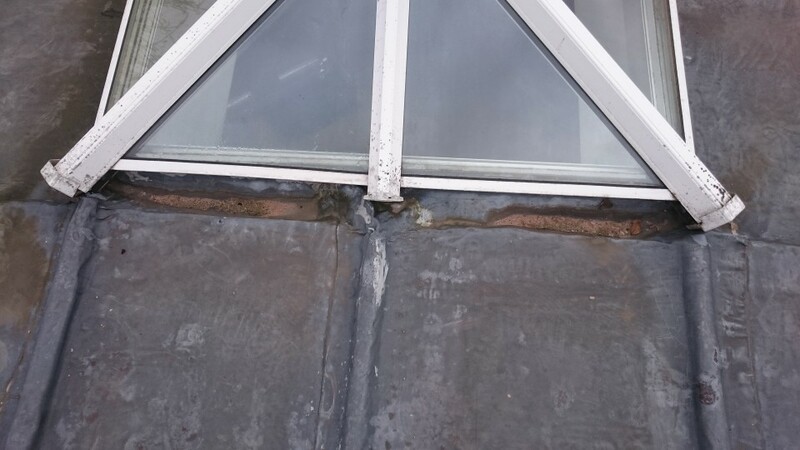 Our client eventually became fed up with water ingress causing damagege within the roof void and decided to contact us to discuss a solution. 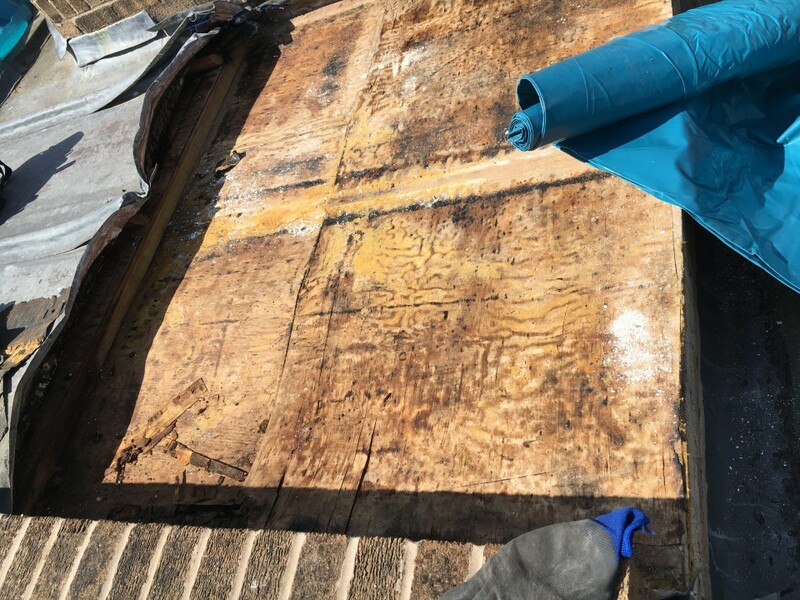 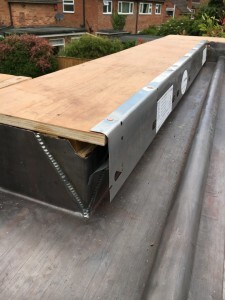 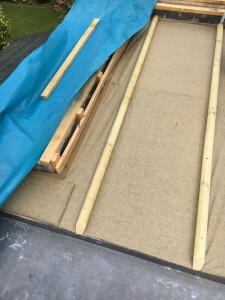 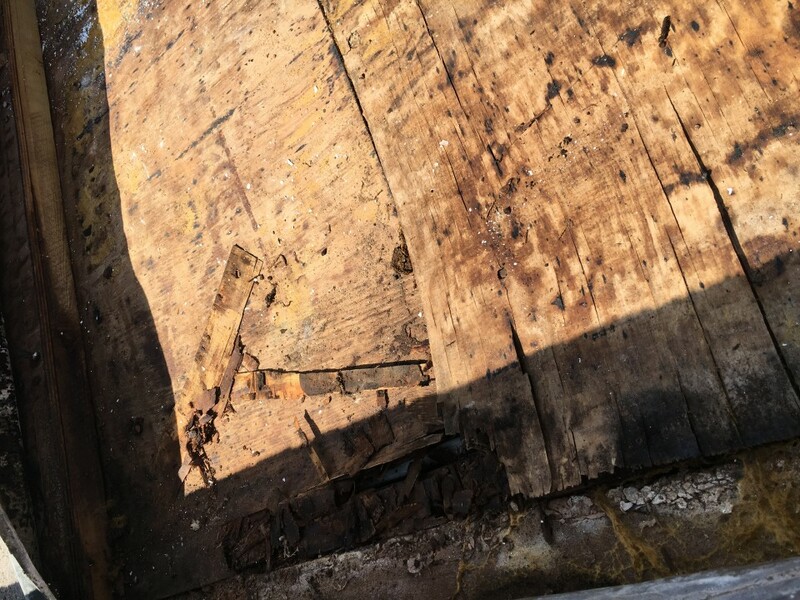 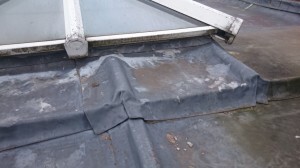 Following a thorough inspection and detailed discussion, the decision was taken to strip the entire roof back to the supporting structure and start again from scratch. Constuction of the new roof began with installation of insulation and a ventilation system. 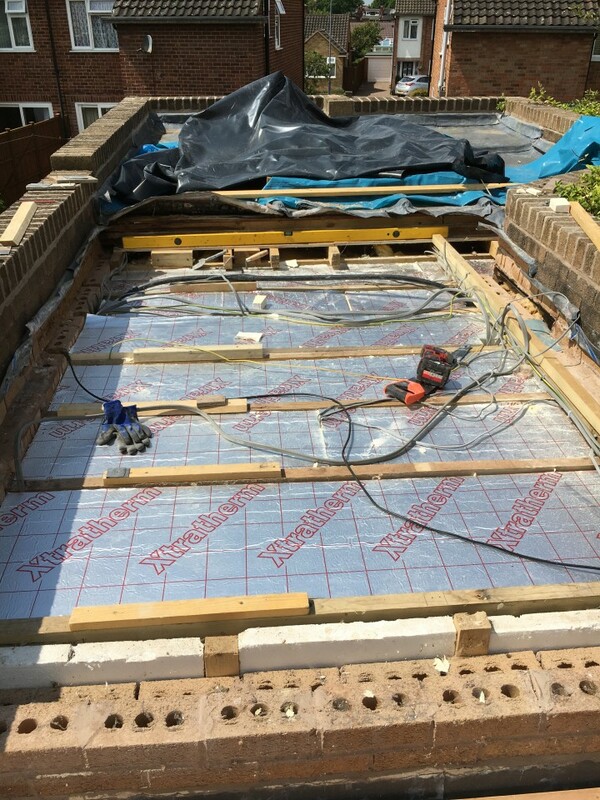 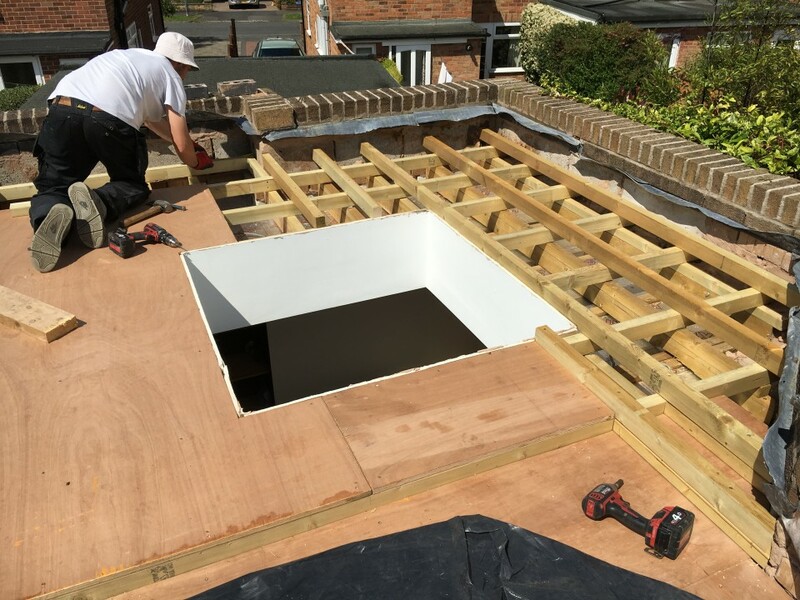 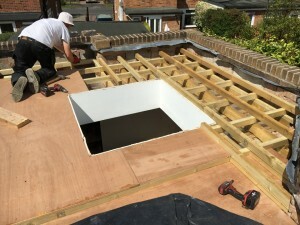 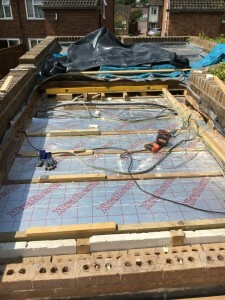 A new roof layout incorporating correct falls and setting out of drip positions was constucted, followed by installation of a marine plywood deck. 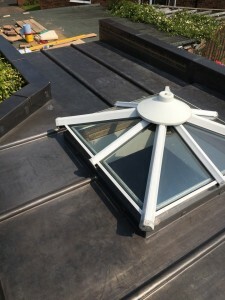 Due to the fairly complex setting out necessitated by the rooflight, lead panels of differing codes were used for the various sized bays; these ranged from code 8 for the main roof bays to code 6 for the larger bays behind the rooflight and code 5 for the smaller bays; code 5 lead was also used for the parapet wall cappings and cover flashings. The project took us approximately 3 weeks to complete and bares no resemblance to the previous effort. 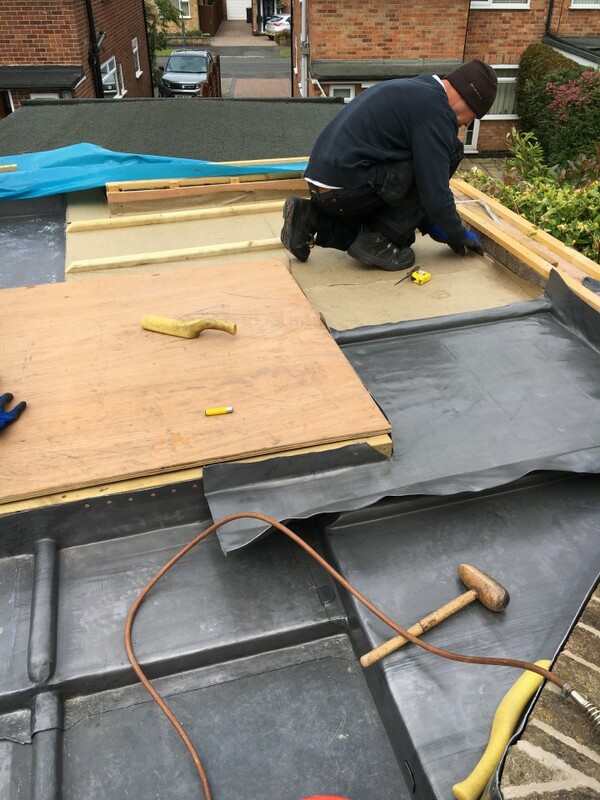 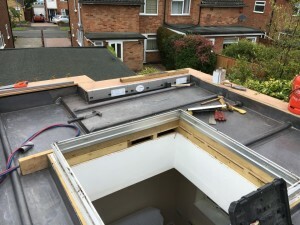 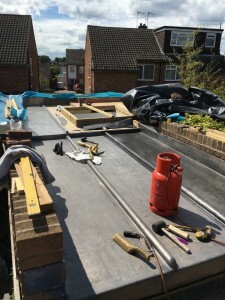 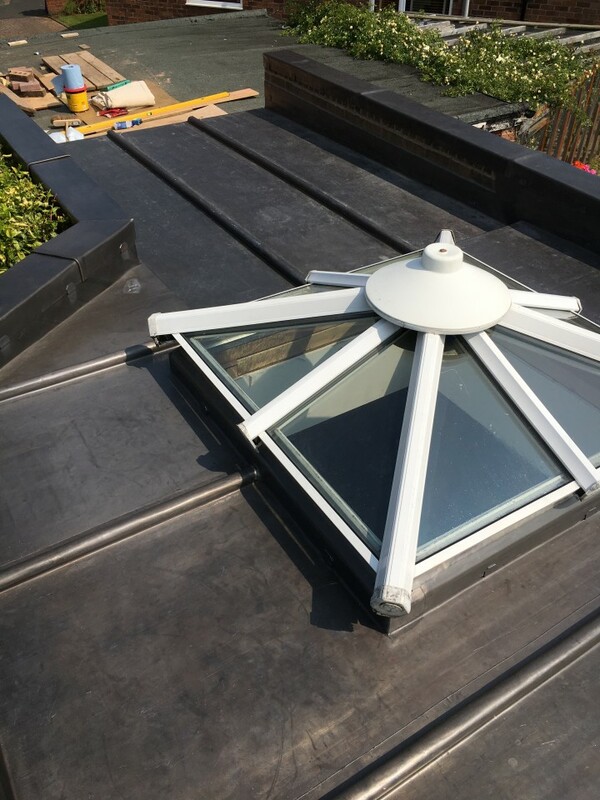 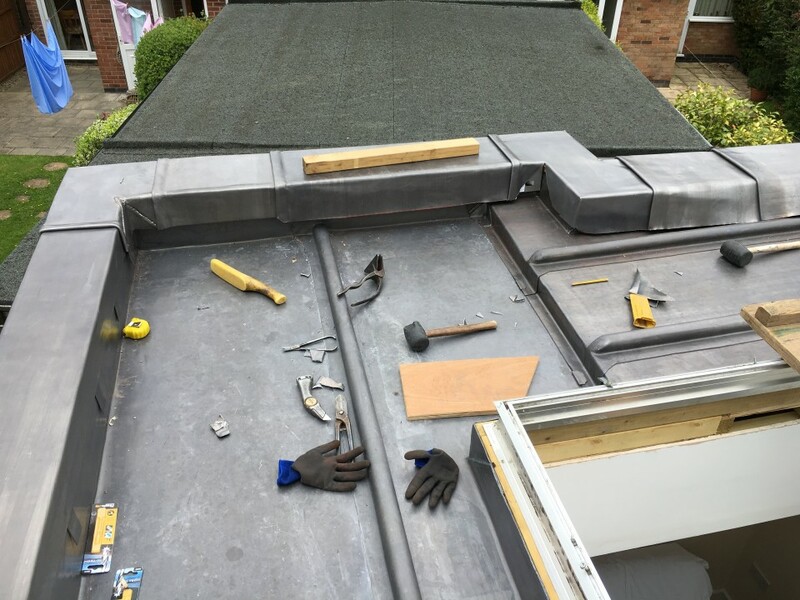 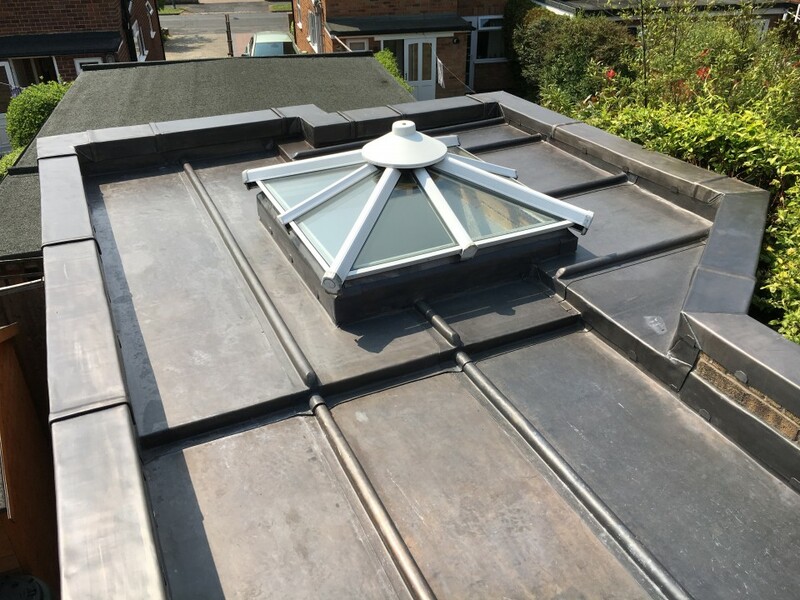 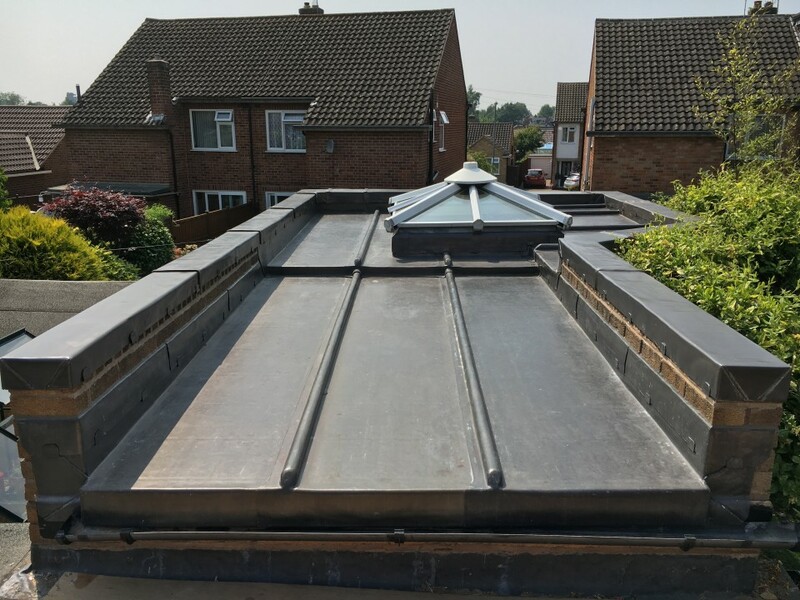 Our client is extremely pleasedwith the completed roof which meets the rquirements of BS6915 and Lead Sheet Association Codes of Practice; it also has the benefit of a Lead Contractors Association 25 Year Guarantee.